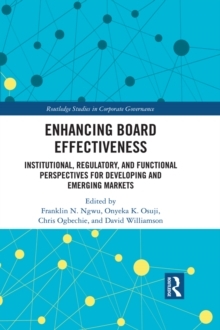 An effective system of corporate governance has both internal and external aspects that have to be sufficiently responsive if governance is to succeed. 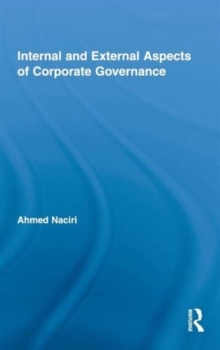 In this book, Ahmed Naciri examines these two core aspects or the latest buzzword in business and management theory. Internal aspects include ownership structure, the board of directors and committees, internal control, risk management, transparency and financial reporting. External aspects can either be market-oriented, or can take the form of credit ranking, and/or social requirements. 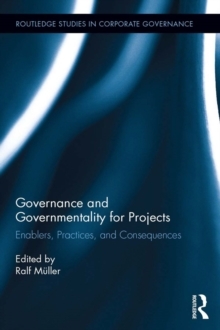 Due to the original orientation of the Sarbanes/Oxley Law, concentrating solely on financial disclosure and given its decisive and tremendous influence on all other similar corporate governance legislations all over the world, most writings on corporate governance have dealt with solely internal corporate governance mechanisms. 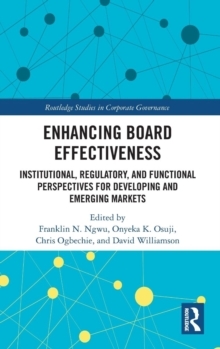 This book aim is to fill up the gap by using a systemic approach and giving a global picture of the corporate governance theoretical foundations, mainly by putting the emphasis on its double dimension: internal and external.